During World War II, the United States government promoted scrap drives to reduce shortages in basic materials such as metal, rubber and paper. 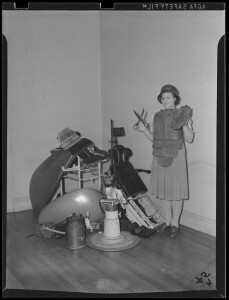 In September, 1942, the War Production Board announced that scrap metal was urgently needed, and promoted a National Scrap Metal Drive in October. 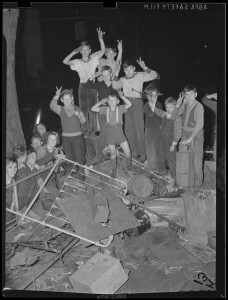 For three Saturdays, there were local scrap drives were organized that involved the whole community, including children. 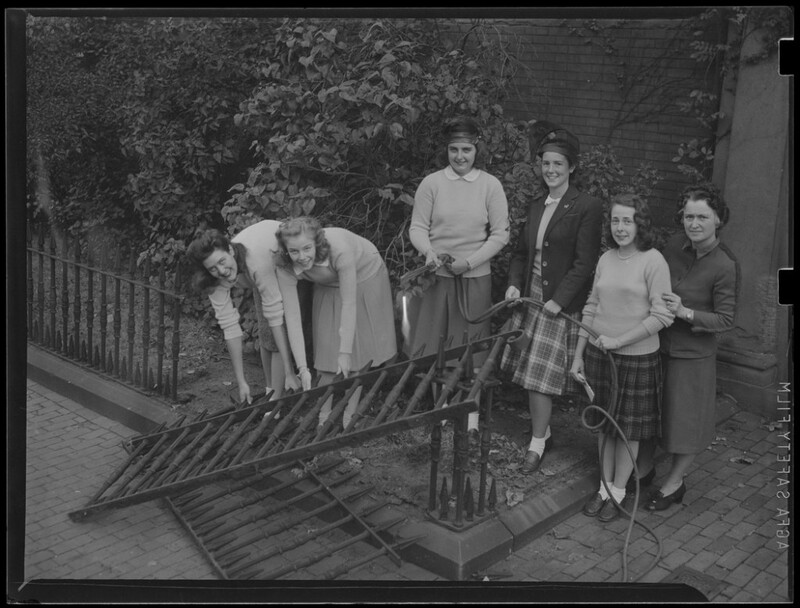 The metal that was collected was not all scrap, but often involved personal or community sacrifice, including wrought iron fences that surrounded the Boston Common and the State House. These scrap drives promoted a sense of patriotism and involvement in the war effort, and according to the War Production Board, the October drive brought in almost eighty-two pounds of scrap per American. 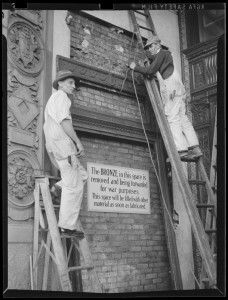 Photographs from the Leslie Jones Collection of the Boston Public Library.